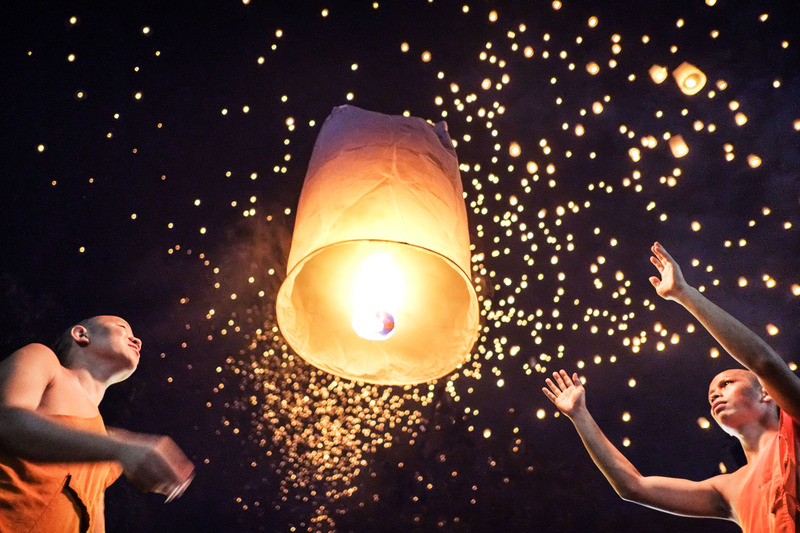 Monk Releasing Lanterns at Lantern Festival in Chiang Mai, Thailand. Monk Stock Photo of Lantern Festival in Thailand. Travel and Explore Stock Photos of Iconic Thailand Imagery.